Bollywood actor Emraan Hashmi’s son Ayaan was diagnosed with first stage cancer in 2014. Since then the actor had been keeping his fans updated about his son’s health through posts on social media. On January 14, 2019 the actor revealed that his son has been declared as cancer free. The Gangster actor posted on social media and wrote, “Today, 5 years after his diagnosis, Ayaan has been declared cancer-free. It has been quite a journey. Thank you for all your prayers and wishes. Love and prayers for all the cancer fighters out there, hope and belief goes a long way. You can win this battle”. Emraan posted the message along with a set of pictures. Soon after friends and colleagues started messaging and replying on the posts. 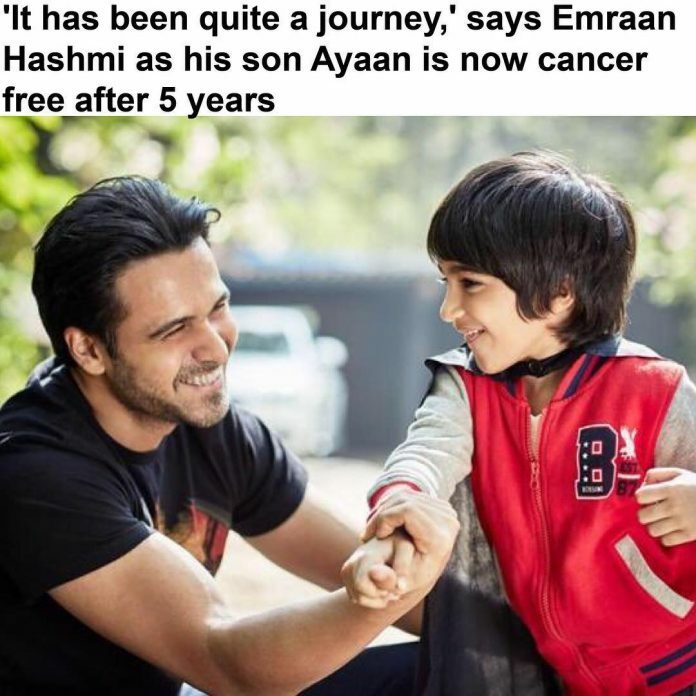 After Ayaan was diagnosed with cancer, the actor had written a book with the title “The Kiss of Life: How A Superhero and My Son Defeated Cancer”. The book has mentioned about the struggles that he and his wife Parveen Shahani had faced when their son was diagnosed with cancer. Emraan at an event on parenthood had said, “I think women are emotionally much stronger. When we came to know that our child had cancer, my wife did not cry while I burst into tears. Even during his whole treatment I had to come back occasionally for shooting but she was there throughout and I don’t know how she managed to be so brave,hats off to her”. On the work front Emraan Hashmi is looking forward to his upcoming film Why Cheat India.